At a meeting of the Club held December 6,1856, Mr. D. L. Adams, the president, stated the desirability of calling a general base ball convention, for the purpose of adopting uniform rules and regulations, governing all clubs alike. 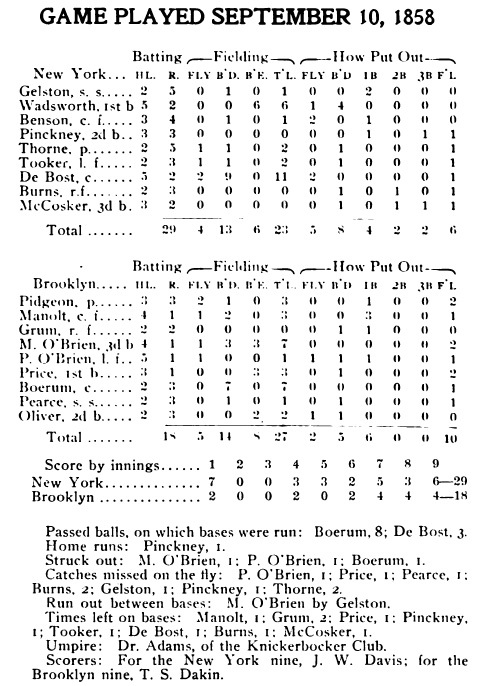 A committee of the Club’s members was appointed “to call a convention of the various base ball clubs of this city and vicinity,” and notices to that effect were published in the newspapers. 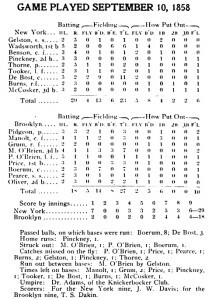 This was the beginning of the movement giving rise, in May, 1857, to the National Association which, for thirteen successive seasons thereafter, annually revised the playing rules and decided all disputes arising in base ball. “Fashion Course” games – the first championship games ever played, of which there remains an authentic record, and the full scores of games.